2018.7.2 Announcing the Opening Acts for S2O JAPAN 2018 ! 2018.6.20 Second stage web voting period closed. 2018.6.9 Second stage web voting period starts! 2018.5.22 Annoucing changes for Second Stage: Thank you for applying to our Audition. Due to all applications, it's taking longer than expected. We will make changes on the deadline for the online voting period for Second Stage to June 9th (Sat) - June 20th (Wed). The biggest “Water x Dance Music” Festival in Asia, S2O Festival is finally launching in Japan! S2O JAPAN 2018 hosts a contest, S2O JAPAN GLOBAL AUDITION to win the opening act on Main Stage. Receiving official support from the well-known DJ MAG Japan to host the contest, DJ/Producers will compete for their dream spot. S2O JAPAN Main Stage is only the beginning. Chase your dream and never give up. You are the rising star! DJ MAG HQ | Managing DirectorA Managing Director of DJ Magazine better known as DJ Mag, manages the world's leading dance music publication and is translated into over 10 different languages every month. It is the promoter of the world famous Top 100 DJs and Top 100 Clubs polls which garner over a million votes each year. This in addition to a series of worldwide events the world's most exciting clubs explain DJ Mag's status as one of the strongest and instantly recognised brands in the worldwide dance music industry. Armada Music | A&R ManagerJurrien Romeijn has been one of Armada Music’s A&R managers for over 2 years. He hands the day-to-day business of the The Bearded Man label and works with exclusive artists such as Lost Frequencies, Pablo Nouvelle, Jan Blomqvist, Stereoclip, De Hofnar, Dennis Kruissen, Sebastoem, Galavant and more. Armada Music | A&R ManagerNick Claassen is a valued member of Armada Music’s A&R team and one of the driving forces behind the Armada Subjekt imprint. His work extends across a wide range of big House and Tech House artists and labels, including Erick Morillo, Harry Romero, Kevin Saunderson, ANOTR, Francisco Allendes, Eelke Kleijn and Illusionize plus labels such as Subliminal, Bambossa, KMS, NOART and more. ageHa | ProducerJapan’s top club events are hosted at internationally recognised club ageHa in Tokyo also known as STUDIO COAST. They’ve welcomed top artists including Afrojack, Yellow Claw, Don Diablo and more for their 15th anniversary year and created a buzz in the Eastern scene. Since their opening in 2002, they continue to lead the Eastern market! OFFICER&CO-FOUNDERSach Jobb is the operations officer and a co-founder of iFLYER. He has played a key role in growing iFLYER to become Japan's leading website in the music event space. A native San Franciscan, Sach has been involved in web application development and server-side technologies since the rise of the internet, and moved to Japan with the desire to infuse western-style internet technologies into Japan's dynamic mobile market. Avex Entertainment Inc. | A&R Dept.1 General ManagerJoined Avex Inc in 1999, Hidetomo has been enrolled in music production department and was heavily involved in the creation of "Velfarre Cyber TRANCE" compilation and music production of YOJI BIOMEHANIKA. In 2005, Hidetomo becomes the A&R/director of Ayumi Hamasaki. With his expertise, Hidetomo now manages the label, which has released songs including Japanese stars such as Ayumi Hamasaki, AAA, TRF, Tohoshinki, EXO as well as Hardwell, Armin van Buuren, Nicky Romero, W&W and more. I’m honoured to host such an audition for Asia’s biggest ‘Water x Dance Music’ Festival in Japan with the support from DJ MAG JAPAN. This audition is a once in a lifetime audition to win the spot for the opening act of S2O JAPAN 2018 and to express your artistic style on the main stage. We hope to receive your application! *Day of Performance: August 4th, 2018 and August 5th, 2018. *Transportation fee to attend the event will not be covered by S2O JAPAN. No restrictions in the following: Nationality, Age, Gender, Management. *Genre will be restricted to dance music. If applying for DJ Category, submit your DJ Mix (60mins max). If applying for Creator Category, submit your original track (5mins max). Either of the above to be uploaded on your Soundcloud or Mixcloud. Please read the ‘Terms and Conditions’ and apply for the audition through Twitter or Facebook. Socials with also be considered for the judge. Receive automated E-mail to confirm the application for the audition. Comment and make a big movement with S2O JAPAN GLOBAL AUDITION! Who is going to open the first ever S2O Festival in Japan? S2O Songkran Music Festival kicked off in 2015 with the concept of traditional new year’s celebration “Songkran” water festival taking place every year during April 13th - 15th. It originated from the tradition of showing respect to the elderlies in the family by pouring water onto their hands. In recent years, the tradition has taken a slight curve and we see the whole nation pouring water at each other wherever and whenever during the period. 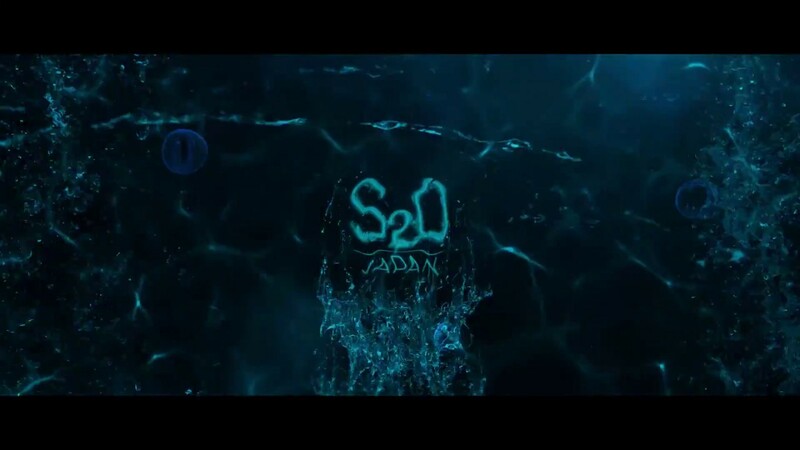 “S2O” is taken from “Songkran + H2O” and the festival has grown into Asia's one of the biggest music festivals in the market. S2O Songkran Music Festival sold out tickets 2 years in a row, with the performances from the World's Top DJ/Producers, and recorded over 55,000 fans in 3 days. Fans from whole of Asia come together and create the biggest "Water x Music' festival.